How to define several currencies in eZee Frontdesk? Solution : Path: Login into eZee Frontdesk Configuration >> Configuration >> ExchangeHow to define several currencies in eZee Frontdesk? Solution : Path: Login into eZee Frontdesk Configuration >> Configuration >> Exchange Rate >> Client on New >> Enter values with exchange rate >> Save. Please refer below screenshot for more information. How to add Tourism Tax especially for Malaysia in eZee Frontdesk 6.0? 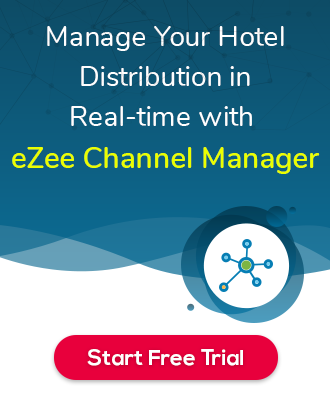 How to change room tariff in eZee Frontdesk? How to create or add user in eZee Frontdesk? How does Yield Management work ? How to add Registration Number on the Invoice? How to create Pay Out Type in eZee FD? Create extra charges in eZee FDC. Refer below ScreenCreate extra charges in eZee FDC. Refer below Screen Shot. How to set wakeup call notification in eZee frontdesk ? How can I set Privileges for Users in eZee frontdesk ? Go to eZee frontdesk configuration >> Configuration >> User>> Select User from user list >> Edit>> Operational privileges>>Go to eZee frontdesk configuration >> Configuration >> User>> Select User from user list >> Edit>> Operational privileges>> check-mark on privileges which you want to set for user. I want to set password of User in eZee frontdesk. Open Frontdesk configuration >> Configuration >> User >> Edit >> Change Password or AddOpen Frontdesk configuration >> Configuration >> User >> Edit >> Change Password or Add password. I do not want to display room tariff and rate type on registration card. How to set Night audit time in Frontdesk ? Open eZee frontdesk configuration >> Advance settings >> General >> Night auditOpen eZee frontdesk configuration >> Advance settings >> General >> Night audit settings. I want to enable business source wise room allocation. Open eZee Frontdesk configuration >> Advance settings >>Open eZee Frontdesk configuration >> Advance settings >> Rental. How to add early checkin and late checkout charges in eZee Frontdesk 6.0 ? How can we set weekends Rates in Frontdesk configuration? User can specify the days that need to be considered as weekend. Open eZee Frontdesk Configuration >> Advance settings >> Rental >>User can specify the days that need to be considered as weekend. Open eZee Frontdesk Configuration >> Advance settings >> Rental >> Weekend settings. For configure weekends rates of room type, refer below screenshot. I want to create Banquet (Non-rental object)from eZee Frontdesk Configuration. For better hotel visualization you can define non-rental spaces existing in your property such as Swimming, Pool, Garden, Reception, etc. Open eZeeFor better hotel visualization you can define non-rental spaces existing in your property such as Swimming, Pool, Garden, Reception, etc. Open eZee frontdesk configuration >> Miscelleneous >> New. How can we create a new room in eZee Frontdesk configuration ? Open eZee Frondesk configuration >> Property setup >> Room Operation >>Open eZee Frondesk configuration >> Property setup >> Room Operation >> New.